This research presents a proof of concept study on an innovative pneumatic mini-valve. The novelty aspects lie in the creation of an actuation device based on wires formed from the shape memory alloy (SMA) Ni-Ti and in the shape of the body of valve, with its very limited dimensions being made possible by its construction using mouldable polymeric materials. The proposed device has the following advantages: easy assembly, compactness, silent functioning, bio-compatibility, low power activation, and it is cheap to produce. Extensive static and dynamic characterizations of the value are performed using a dedicated test rig. Several different valves were measured to ensure measurement reproducibility. The static characteristics of the SMA-based valve are equivalent to those of commercially available valves. A 10 ms activation time and a 90 ms seating time are obtained at a 30 per cent duty cycle and a 1.5 Hz frequency. 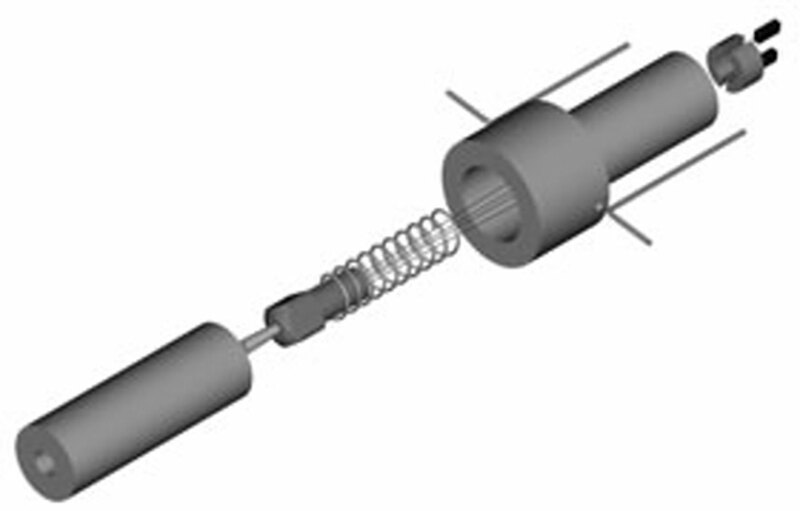 M. Tiboni, A. Borboni, M. Mor, and D. Pomi, “An innovative pneumatic mini-valve actuated by SMA Ni-Ti wires: Design and analysis,” Proceedings of the Institution of Mechanical Engineers. Part I: Journal of Systems and Control Engineering, vol. 225, pp. 443-451, 2011.